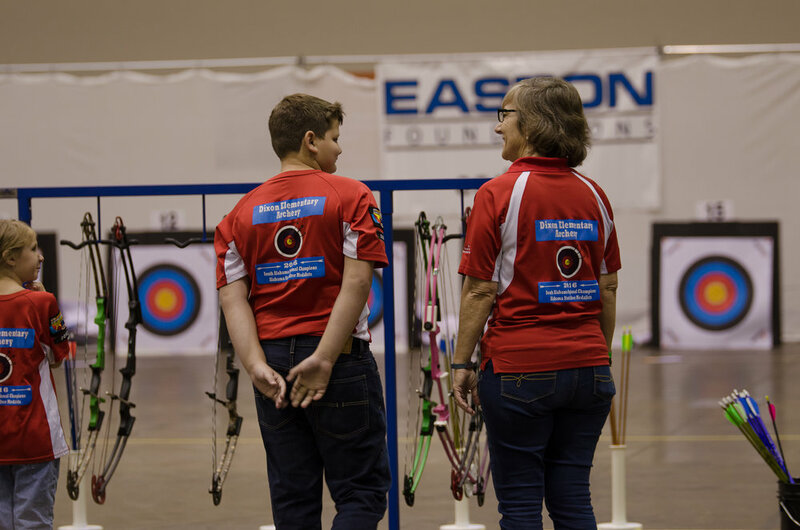 This weekend I was honored to travel to Orlando, FL with the Dixon Elementary School Archery Team to the National Archery in the Schools Program (NASP) World Tournament. 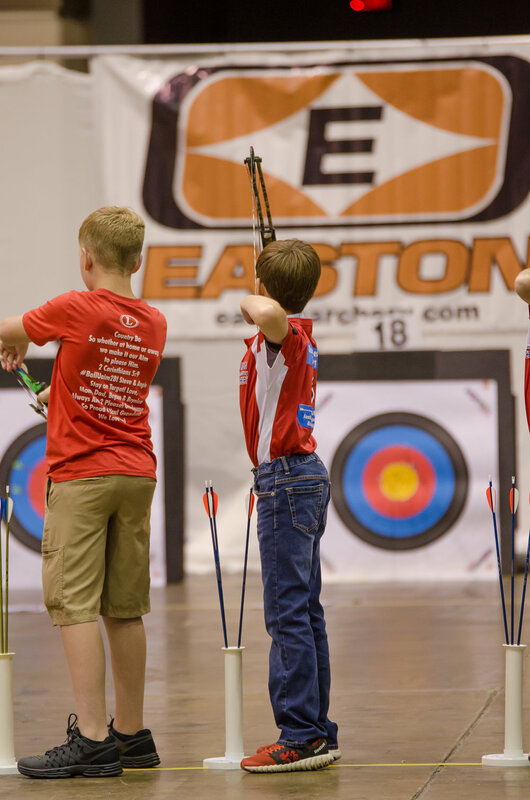 The team placed 1st in Regionals, 2nd place in Montgomery, AL at the State Tournament and 7th in Louisville, KY at the NASP National Championship. 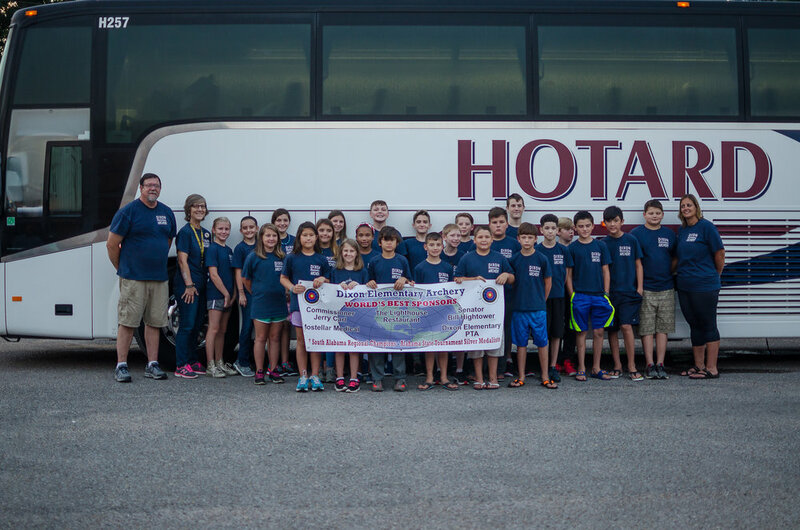 We boarded the bus at 6am on Friday, July 21st and headed toward Orlando with 24 archers and a large support team of parents, grandparents, siblings and friends. We arrived later that day in Orlando at the Grand Hotel and had a pizza party and got our instructions for the next day at the tournament. 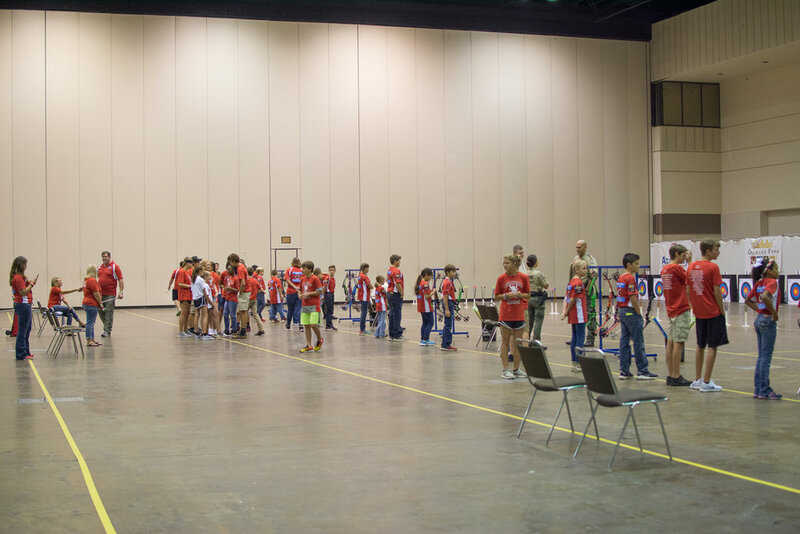 We left for the Orange County Convention center at 8am with a group of eager archers, ready to show the world what Dixon Archery is all about! 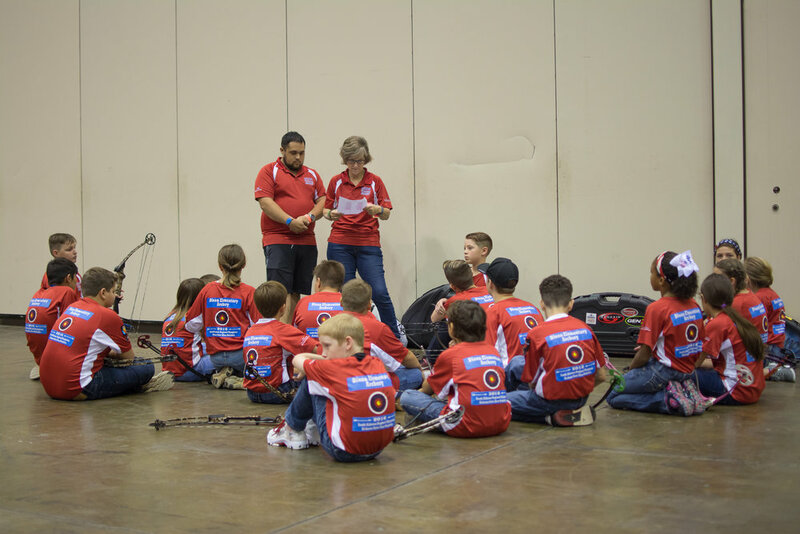 When we arrived all of the archers gathered around Coach Hussong and she gave them a pep talk and helped get their minds calmed and ready to concentrate on the task at hand. When the time came for the team to walk up to the line they all circled around the 5th graders who were kneeling, placed their hands on their heads and said a prayer. All 24 of the Dixon Archers walked up to the line on targets 1-24. Each one was focused and disciplined to look only at their targets and not at the crowd. It's amazing to watch 3rd-5th graders show patience and determination at their age. I can still hear the popping of the targets as the arrows were shot into them. I can still see the smiles on some of their faces as they walked back from scoring a round. Most of all I can still feel the emotion coming from the coaches and the archers as they finished shooting and walked back to their parents, grandparents and friends for hugs and congratulations. The coaches all walked the line during the tournament, checking in with the archers and encouraging where needed to make sure each archer did their best. When the team had finished shooting we took team photos and then headed toward the bus. The team would then get to spend the day in the Magic Kingdom at Disney World as a reward for all of their hard work this year and all of their accomplishments. Once all the teams had finished shooting and all of the scores were posted, Dixon had placed 4th, yes 4th, in the World in their division. Their team score was the highest score that the team has scored so far in a tournament, at an impressive 3225! Congratulations to all of the Dixon Elementary team as well as the coaches, parents, and everyone else who has supported them. For the archers practicing 3 to 5 times a week, coaches coming in early and staying late for them to practice, long nights of planning tournament trips and making a difference in the young lives of each kid on the team, and the parents for getting the kids to and from practice, coming to meetings and tournaments and supporting the coaches and helping them train and mold the kids into the great team they are. Thank you for choosing me and allowing me to be a part of your team and be able to see the greatness that your team is and has become. Good luck to the 5th graders who are moving on to middle school next year! I know you will do great things for Alba and Grand Bay Middle School's programs. I want to also wish good luck to the 3rd and 4th graders. Be mentors to the upcoming 3rd graders and teach them all they need to learn to be as great as you are. Thank you for asking me to be apart of this amazing experience for your team. I truly enjoyed every second of the trip and I am very proud of the team and their accomplishments. 4th in the World!!!! !